I don’t know what is it about wanting to know what’s in someones purse. I personally love watching these videos/reading posts because I feel like it’s a look into that persons world, and I’m always curious to see what that person carries. The purse that I’m currently carrying is actually pretty big, but that’s only because I like to take my laptop and my planner with me EVERYWHERE (What? You never know when you need it or when you’re inspired to make a post!). 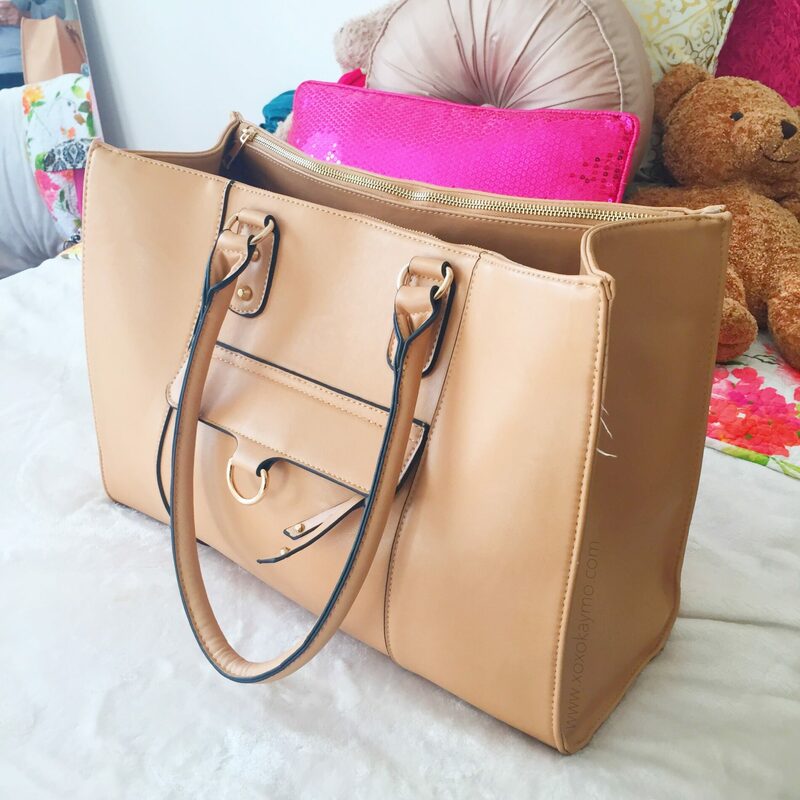 The bag is by Sasha+Sofi and it’s the ultimate work tote in the color Sand. 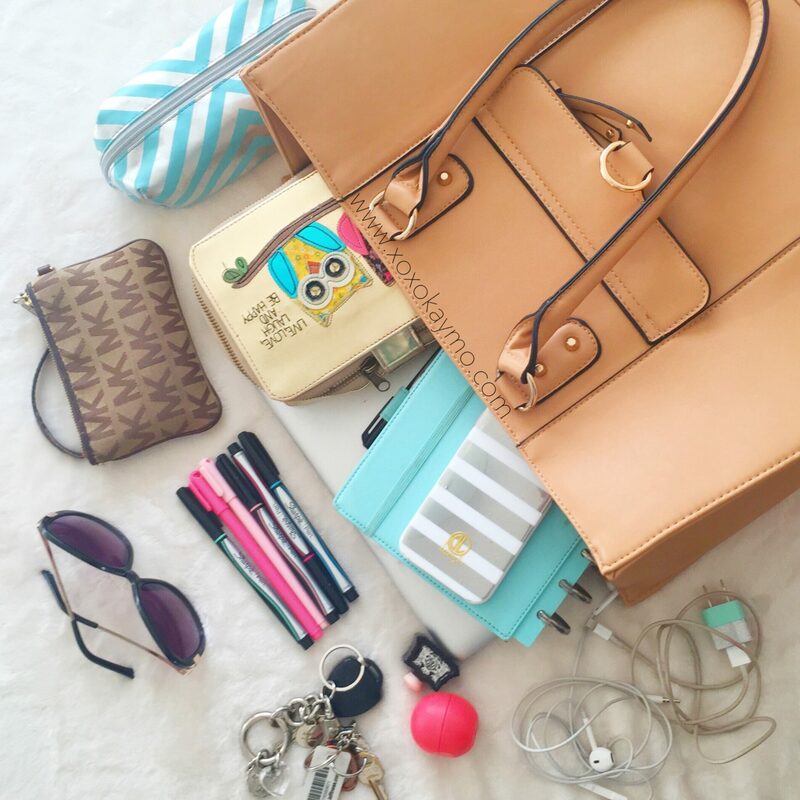 In my purse I have the essentials like my iPhone, keys, and wristlet. Then I also have my macbook pro, iPhone charger, headphones, planner, makeup bag, pens, my chevron printed bag with some washi tape and page flags, colorful pens, sunglasses, my EOS lip balm, and a mini Juicy Couture perfume. The best part is all of my things fit comfortably into this bag without looking over filled. Plus, it’s really cute so it can go with almost any outfit. pssst…What are your essentials? I’d love to know! Great post! I get what you mean, I guess it gives people an insight to how you are as a person and they learn what your essentials are! I love the bag and I like how you prefer to take everything with you cause you never know when may be inspired! I love the bag. Where can i find it?